More pictures on the HDPLEX 150W DC-ATX converter with heatsink plate on the back. Silicon thermal pad between the components and aluminum heatsink plate. This helps more stable operation. The components on the DC-ATX converter will get hot despite the high effeciency. PicoPSU does not have any heatsink to help dissipate heat. The 150W heatsink plate will be in tight contact with the H1 aluminum faceplate, utlizing the whole H1 faceplate for dissipate heat. Since this HDPLEX 150W DC-ATX converter will be available for retail as a stand alone product, it will come with two kinds of DC input which enable customer to use almost any external laptop AC-DC adapters. One is the popular 7.4×5.0 with PIN DC input. This input is the standard on almost all 19V laptop adapters from DELL/HP/Toshiba/ASUS/OEM brand. (Screws will be black in the retail package). The other one is the 5.5/2.5mm DC input which is used by all PicoPSU product. A lot of the low cost OEM 19V laptop adapters use this DC input connector as well. HDPLEX will release a high quality 150W DC-ATX converter with modular output. Heatsink plate will be added to the back of this power converter to help dissipate heat and guarantee performance and stability under high load. This DC-ATX Converter uses German High Quality Würth Elektronik inductance components. 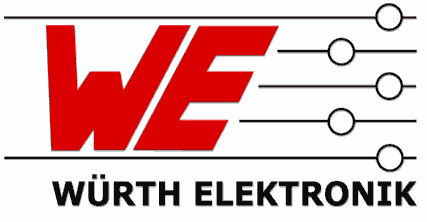 This Würth Elektronik inductance is all enclosed which has much less interference and offer unmatched stability at high current application. The converter also use high quality solid tantalum capacitors. It has 24PIN/4PIN/4PIN output and accept wide range 16V-24V Wide Range Voltage Input. The input DC socket is 7.4×5.0mm with center PIN which is popular on mainstream laptop adapters such as DELL/HP/Delta. HDPLEX will also offer one extra input DC socket cable for 5.5mm/2.5mm AC-DC adapter customers. The MSRP for HDPLEX high quality 150W DC-ATX converter is 45USD. In the new version, the 100W HDPLEX linear ATX power supply will be housing in a passive chassis. It will feature ELNA Hi-End capacitors and high quality 100VA R-core transformer in the final version. The HDPLEX linear ATX power supply will have aerospace GX16-2 output. The power supply will output 19V/12V DC (switchable) and accept 115V/220V user select. The HDPLEX linear ATX power supply will come with GX16-2—5.5/2.5mm cable to work with all PicoPSU DC-ATX solution (12V output mode). It will also come with GX16-2—–7.4/5.0 with center PIN cable to work with HDPLEX 250W Hi-Fi grade DC-ATX converter (19V output mode) or directly plug into thin mini-ITX motherboard (no extra DC-ATX module needed).